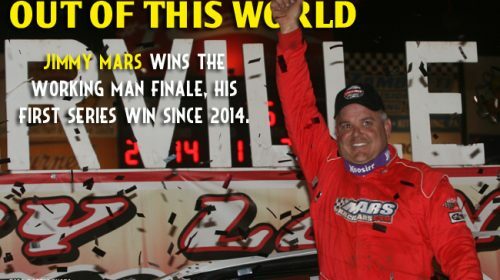 SARVER, Pa. – Sept. 3, 2016 – Jimmy Mars won the Working Man finale presented by GottaRace.com Saturday night at Lernerville Speedway. Mars started third in the 75-lap Craftsman Club® Feature, ultimately earning the $20,000 purse for the weekend. 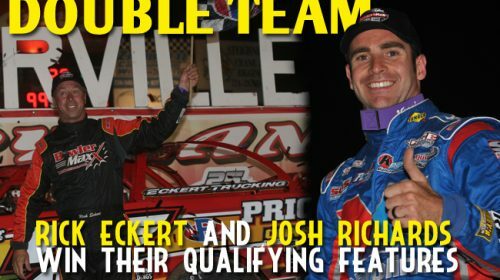 SARVER, Pa. – Sept. 2, 2016 – Rick Eckert and Josh Richards each led their qualifying features to the checkers Friday night, sharing victory lane for the World of Outlaws Craftsman® Late Model Series’ opening night of Working Man weekend presented by GottaRace.com at Lernerville Speedway. 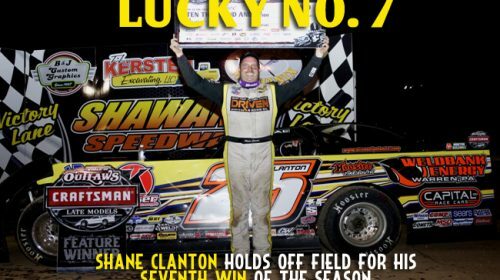 LAKE CITY, Mich. – August 28, 2016 – Josh Richards won the Keyser Manufacturing Great Lakes Shootout decisively Sunday night at Merritt Speedway. 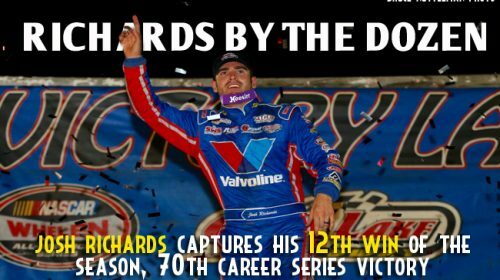 With his 17th trip to victory lane, Richards tied the World of Outlaws Craftsman® Late Model Series record for most wins in a season. DELMAR, Del. – August 11, 2016 – Josh Richards pulled away from the field Thursday night, winning the Fulton Bank 50 at Delaware International Speedway by more than four seconds. The victory was Richards’ 14th, and with it he earns the $10,000 purse. NEW RICHMOND, Wisc. – August 6, 2016 – Josh Richards won his second career USA Nationals finale Saturday night at Cedar Lake Speedway. 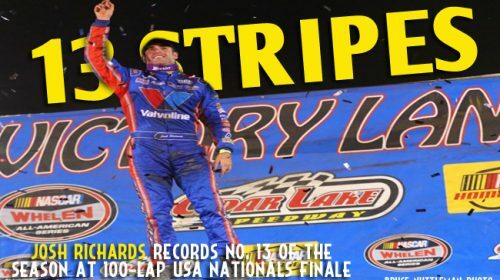 The victory marked his 20th of the season (13th in the series) and 71st of his career in the World of Outlaws Craftsman® Late Model Series – one win from tying for the all-time series record. NEW RICHMOND, Wisc. 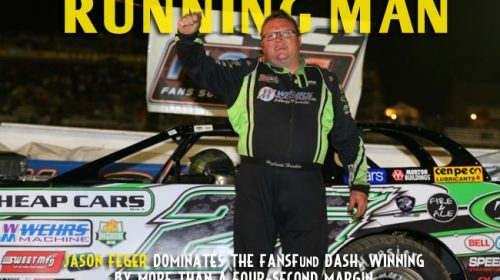 – Jason Feger ran away with the FANSFund Dash Friday night at Cedar Lake Speedway. Feger started the day from qualifying toward the back of the pack to placing third in his heat. 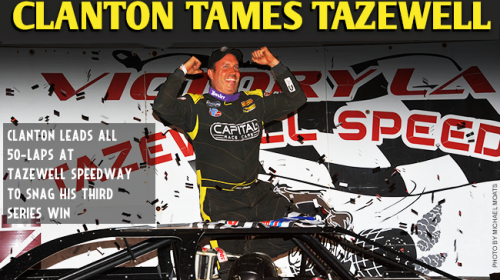 He heated up as the night went on, capitalizing when it mattered the most to win the $2,500 purse. NEW RICHMOND, Wisc. 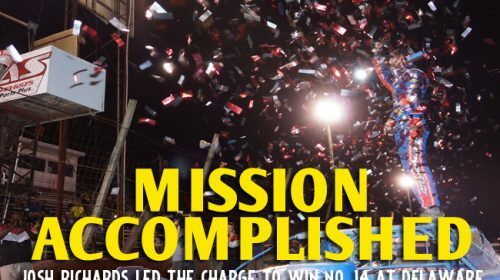 – August 4, 2016 – Josh Richards got his golden egg Thursday night, reaching one dozen wins at Cedar Lake Speedway’s USA Nationals preliminary show. 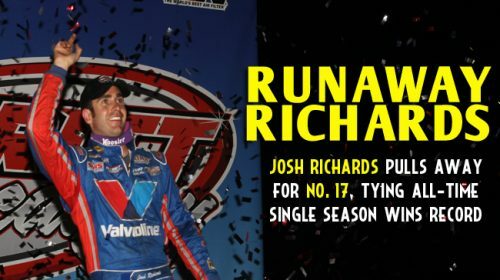 It was Richards’ 70th career World of Outlaws Craftsman®Late Model Series win. 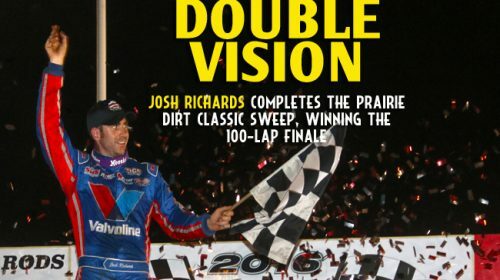 FAIRBURY, Ill. – July 30, 2016 – Josh Richards completed the “Prairie Dirt Classic” sweep Saturday night in front of a packed house, winning the 100-lap finale at Fairbury American Legion Speedway. The victory was Richards’ 11th of the season and his 69th of his career in the series.